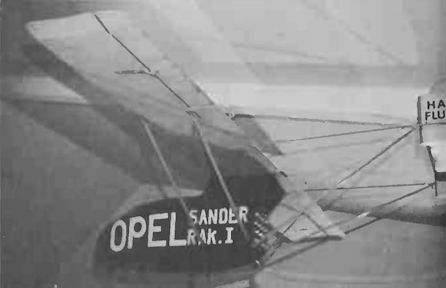 The Opel-Sander Rak.1 mounted on its take-off track. Opel rocket-powered glider (30 September 1929). 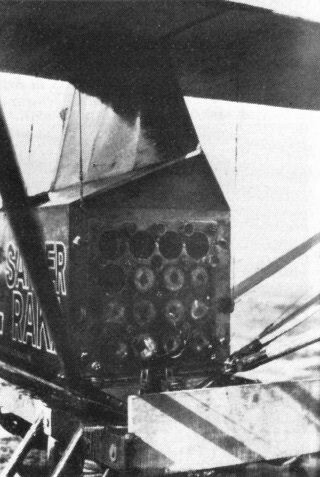 The bank of 16 Sander powder rockets in the rear of the abbreviated fuselage nacelle.